It is still Vigilant - Only better! Retailer and construction industry supplier, Tilemaster, upgrades its accounting system to Oneir Solutions, enabling it to stem persistent losses from a growing inventory and to manage a second new outlet. Ton Holten has never been afraid to make a move. He began his long sojourn in the ceramic tile industry by driving tile-laden tractor-trailers for a Dutch forwarding company from the far reaches of two continents back to his native Holland. In the 1980s, the Holten family packed up, moved to Canada, and successfully began Tilemaster in Aurora, Ontario. There it serves both retail and construction industry customers with what’s become a vast array of metal, stone, slate and marble tiles as well as countertops plus related products. Early on at Tilemaster, Holten moved company accounting from paper ledgers to the computer where Vigilant’s package of Point of Sale and Inventory Control Software has helped Holten keep control of his business for more than 20 years. But in the new century and faced with a growing demand for tile fuelled by a boom in local house building and a healthy economy, Holten knew it was time to make a few more strategic moves. He moved Tilemaster from its original location to another in Aurora and opened a second store in Barrie, some 40 kilometres away. And in 2005, he also upgraded Tilemaster’s accounting from Vigilant to Oneir Solutions, which has much the same look and feel as Vigilant on the computer screen but, deep in its dedicated server, Oneir runs on a modern-day Linux operating system making it much more able to meet the needs of an expanding business. Yet on the Windows workstations where Tilemaster staff make entries at the sales counter, in the warehouse, and in the back office, there was not little need for re-training. “It [Oneir] is still Vigilant – only better. “For me it (Oneir) is still Vigilant – only better,” says Holten frankly. Just what Tilemaster and Holten had. One of the reasons Holten and company ‘stayed’ with Oneir was to accommodate new storage for a rapidly growing inventory back in Aurora. To make that work, Holten needed additional controls over his inventory. So Oneir developed a “Tile Calculation” option available to clerks and other users right at Tilemaster’s Point of Sale. Also, Oneir shows on each invoice the weight of the order – so that the pallets of tiles shipped out are not too heavy for the vehicles carrying them. “By moving to Oneir we’ve avoided the mis-shipments of too many or too few tiles…and we’ve also recovered more than a year’s wages. Giggal, given her background as a financial controller, has made sure such controls have become a major part of the Oneir solution. 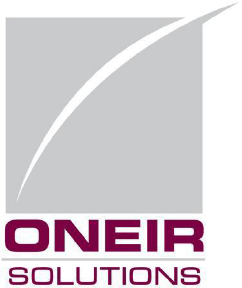 Those Oneir controls have stemmed losses that were bleeding Tilemaster. Similarly, Holten uses Oneir’s Order Taking and Invoicing capabilities to help control costs and run Holten Impex International, the wholesale side of his business. That’s not to say that the always practical Holten didn’t think about moving away from Vigilant/Oneir when making his expansion plans for his businesses.